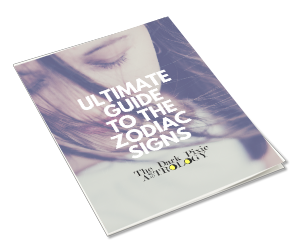 Sign up now for the Ultimate Guide to the Zodiac Signs! This 99-page e-book covers how each sign is in love, as a parent, as a friend, as a pet, and more. Have fun with it! You will also be signed up for the newsletter, where you'll get astro tidbits and pixie dust in your inbox each week. You can click on the Unsubscribe button at the bottom of the newsletter at any time to stop getting emails. You may also request to be permanently deleted, disable tracking of your views/clicks, or to receive an export of your data via email or the Contact Form.